The Big Bertha is one of the most popular Callaway hybrids, and golfers love it because of its performance and versatility. It looks and feels longer than typical hybrids, and so it takes time to get used to it, but the length does not take anything away from the fact that it is one of the best hybrid golf clubs. The Big Bertha is one of the most popular Callaway hybrids, and golfers love it because of its performance and versatility. It looks and feels longer than typical hybrids, and so it takes time to get used to it, but the length does not take anything away from the fact that it is one of the best hybrid golf clubs. Apart from the length it also features OptiFit Adjustability, Low CG Design, and a Speed Frame Face. Callaway makes it with a graphite shaft and in three different flexes (stiff, regular, senior), and it is available in both left and right-hand dexterities. OptiFit Adjustability: Callaway brings adjustability to a hybrid by giving the Big Bertha an adjustable hosel. This hosel makes it possible for a golfer to choose from 8 different lie angles and loft combinations. Speed Frame Face: The speed frame face design is what gives this hybrid the impressive ball speeds. It entails making the face light, thin and robust to ensure that it is fast throughout. Shaft: For the shaft, Callaway uses the premium UST Recoil Graphite shaft which improves the performance of the club and is also quite durable. The shaft is also available in stiff, regular and senior flexes. Low CG Design: The center of gravity on this hybrid is low and very forgiving. By keeping the center of gravity low, the manufacturer manages to create a high MOI to ensure even more forgiveness and maximum ball speeds. Appearance: It has a matte finish which is common for most hybrids, but the graphics on the head look a little busy. It is easy to hit off a moderate rough and fairway even for beginners. With this hybrid, you can get some great distances without putting in a lot of effort. Its versatility makes it playable for various shot types. The high MOI makes it very forgiving and also maximizes the ball speeds. 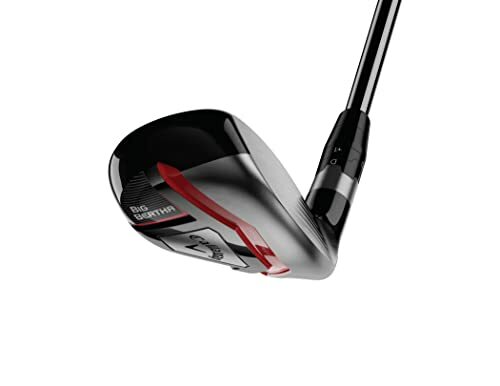 Big Bertha is a fast club throughout the face thanks to the thin, light and robust construction. It is handy in optimizing a golfer’s shot shape. You can get it in three different shaft flex options. Although it is adjustable, it does not come with any instruction on how to do it. Some golfers will find the finishing a little dull. 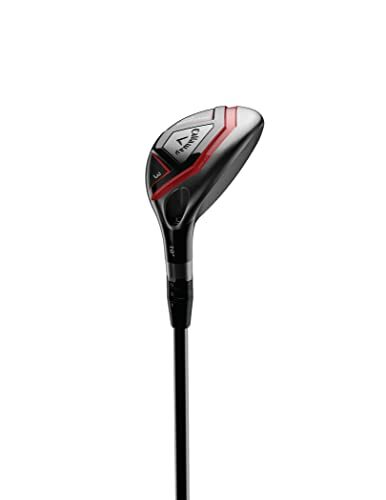 Callaway is one of the leading brands when it comes to hybrids, and their men’s Big Bertha is probably their most famous and best hybrid golf club. It is a very forgiving club that features a low center of gravity and speed frame face that guarantee that you get maximum ball speeds no matter the point of impact. What many golfers love about this club is the fact that it is easy to launch higher than most other hybrids on the market. Also if you are on the market for a versatile golf hybrid, that will be playable for various shot types the Big Bertha is a perfect pick for you. And although some golfers might not be happy with the finishing and the fact that the longer length takes a lot of time to get used to, this is still one of the best hybrids on the market.